Hair trends will change every year as well as every season. A great hairstylist needs to stay up to date with current trends and be on the lookout for the upcoming trends. Even when it seems like hair trends are staying the same or similar to years past, there is always a way to make subtle updates, even to the most classic of cuts. The easiest way to achieve any trendy look is to invest in high-quality tools, such as Kasho hairdressing scissors. To help stay up to date with 2017’s hottest hair trends, here are 3 of the top colour and styles for the year. 1. Colour contouring. Hair contouring is inspired by one of the latest make-up trends that aim to define your best facial features. This technique uses the placement of hair colour around the face, which can help accentuate your best features and enhance natural skin tone. With the specific placement of different tones and depths of colour around the face, this colouring technique can highlight and darken areas of the face. Darker colours in the hair create shadows which can narrow the face shape. Lighter tones, on the other hand, elongate the face shape. Hair contouring is a hair trend that can work for anyone, as it is designed to suit everyone’s unique facial features and skin tone. 2. Blunt bob. 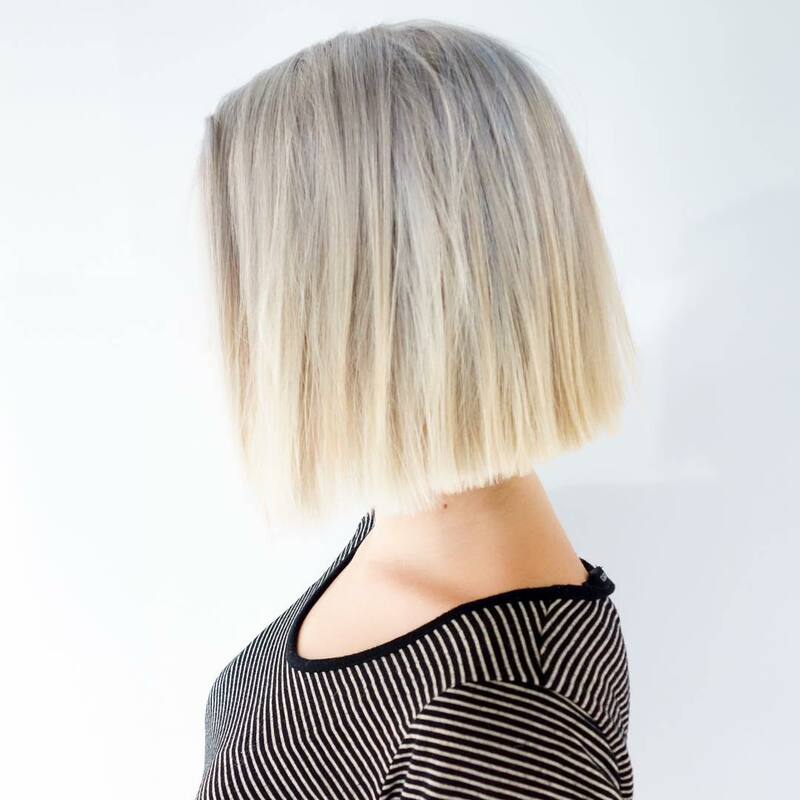 One of the biggest hair trends for 2017 that is showing up on many fashion runways is the blunt bob. This trendy style contains no layers, A-line shape, texture or undercut. It is simply a classic bob. The best part about this cut is that it is suitable for all hair types. The right products can make this cut even better. For fine hair, a thickening spray or mousse will provide needed volume so the hair doesn’t simply fall flat. A styling cream can be useful for wavy hair in order to tame frizz. Curly hair will require a curl cream or oil to give hair shine and weight to avoid a major triangle shape that can occur with this cut. 3. Eye length fringe. Bangs are an easy way for anyone to change up their look without making too drastic of a change with a full haircut. One of the best parts of a long bang is that they are versatile in how they can be styled. Using pomade or other styling products, bangs can be made to look piece-y and edgy. They can also be swept to the side for a more conservative, classic look. A fringe can also work with any hair type including curly hair, and with many different hairstyles. Bangs that are cut shorter in the middle and longer on the sides can also work with any face shape, adding to the versatility of this style. While these hair trends are great, be sure that you go to a professional who has training and expertise in these cuts. That way you can ensure that your cut will come out great and you will look your best. This is fab! I am getting my hair done and needed some inspiration and this could be my new style! I actually had a blunt bob cut in recently. I love it. I nearly always default back to a blunt bob and an eye length fringe. I'm glad it's back in style! I love the blunt Bob but I'm really not sure I could pull it off, and think I may regret cutting all my hair off! Haha. I love the colour contouring trend at the moment! I really want to cut my hair into a blunt bob!